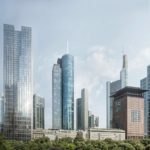 There is news regarding the development timetable for the high-rise quarter FOUR Frankfurt. The city’s construction supervisory authority gave the green light for site clearance demolition at the end of March 2018. A few days ago, the gutting of the buildings on the central-city area between Junghofstrasse, Grosse Gallusstrasse, and Neue Schlesingergasse began. Workers and machines are now working daily to demolish the area on Rossmarkt gradually. 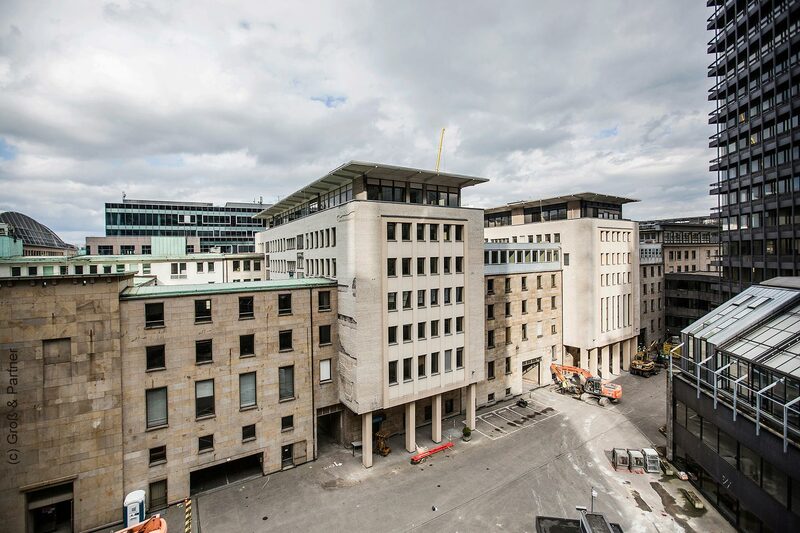 According to site manager Roger Schmitt of GP Con GmbH, a subsidiary of Gross & Partner, the coring work on some components will be completed by the end of April 2018, so that the controlled demolition of the first building will begin in May 2018. 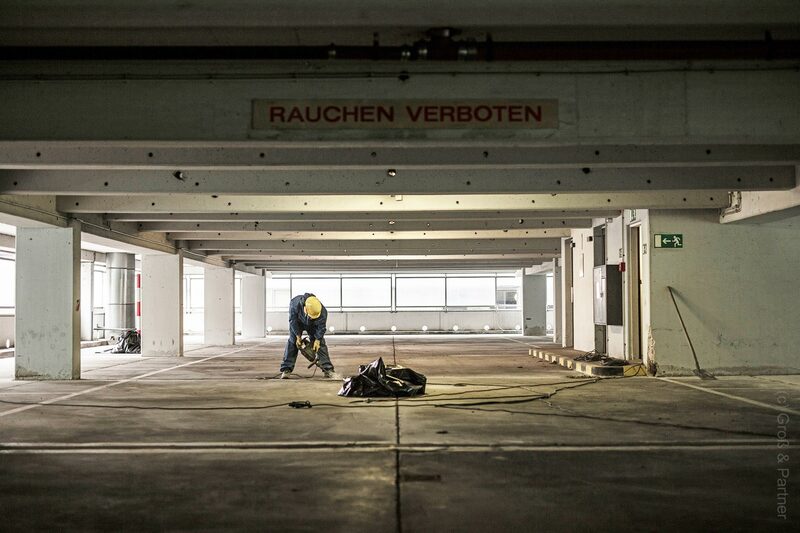 According to the preliminary plan, the parking garage in the Neue Schlesingergasse will be removed first, followed by the parts of the building from the 1950s, which are located in the inner courtyard. The facades at Junghofstrasse and the historic foyers at Junghofstraße 11 are protected by landmark status and are to be secured. At the beginning of summer 2018, the black tower in Grosse Gallusstrasse (built in 1971) will be removed floor by floor, while the adjoining six-storey building opposite Commerzbank Tower will be demolished. The entire area, with the exception of the listed areas, will be completely vacated in late summer of 2018, so that civil engineering work can start at the end of 2018. 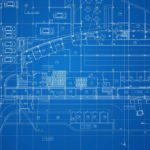 “Our entire team looks forward to the construction start with great anticipation! 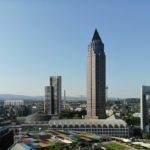 After intensive preliminary planning, the first visible step is now being taken to realize FOUR Frankfurt, a project that will enrich the city center in many ways,” says Roger Schmitt, describing the mood of the project’s developer.